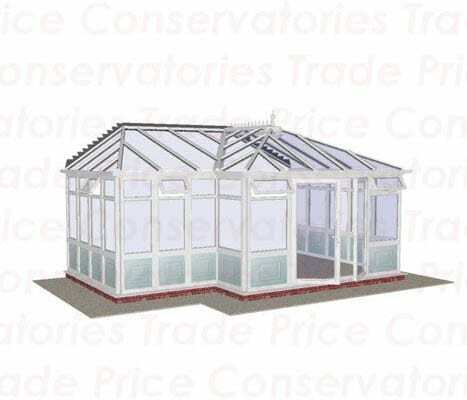 See what is behind Synseal’s conservatory range. View the technology and practices used to ensure their high quality. 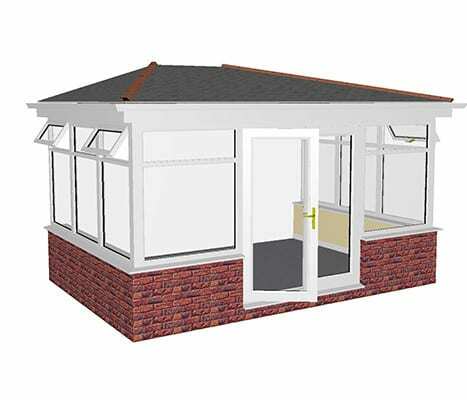 Watch how Synseal keep their conservatories looking better for longer with their design and materials. View a tour of the Complete Synerjy Suite. 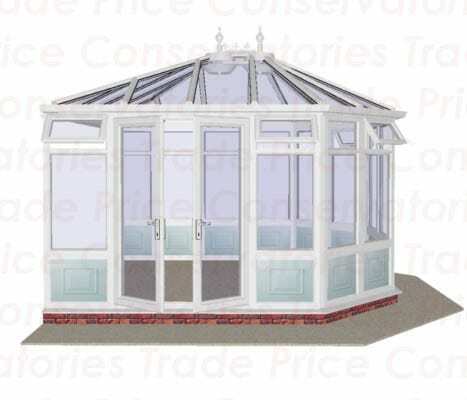 View the features & benefits of our Woodgrain Conservatory. Edwardian/Victorian valley trims can produce all the popular pitch and angle variations without compromising structural integrity or weatherproofing. 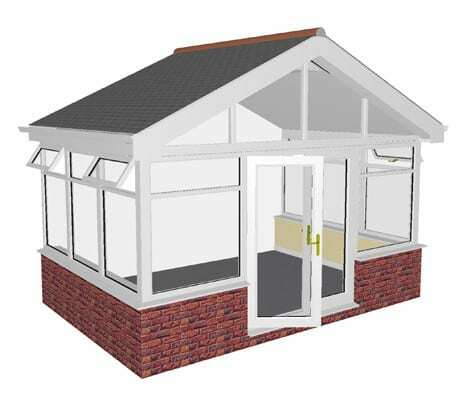 System specific guttering gives great versatility for all gutter options. All components are engineered to simplify installation. All roof parts are cut to size, ready to be fitted into position. 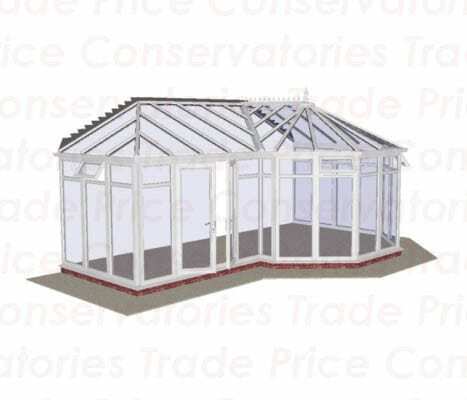 A large selection of specialist parts are available to allow a conservatory to be installed in most non-standard situations. Tie bolt rafter fixings remove the requirement for most tie bars. Specially engineered tie bar brackets do not affect the structural integrity of the roof bars. 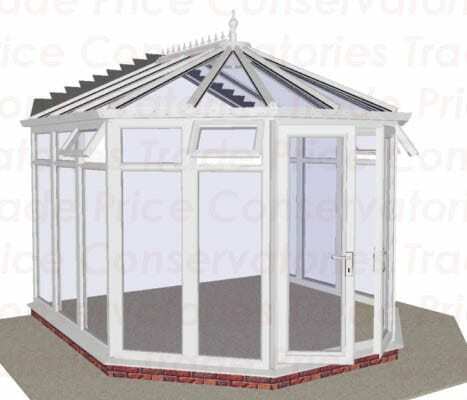 Specific gutter profiles co-ordinate perfectly with the rest of the roof components. Internal bolt slot in glazing bars reduce leak potential and saves installation time. 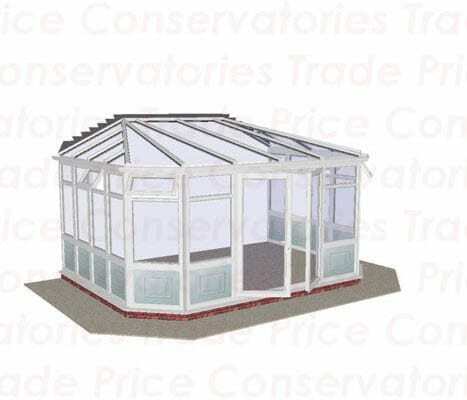 Glazing closure and retainer prevents glass from slipping down the roof, both during and after installation. The finial screws straight into the radius cap without breaking through to the inside of the building, preventing possible leaks. Pre-fitted end caps save valuable time on site. 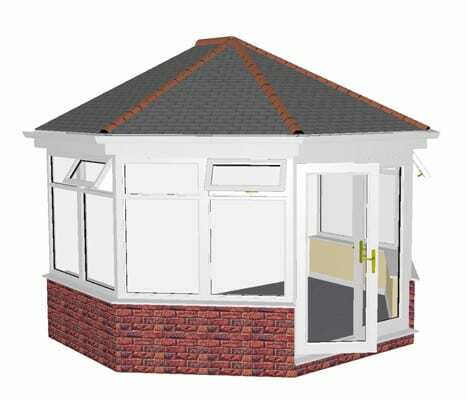 One eaves beam design suits all roof options. Internal cappings are ready cut to reduce installation time. All cresting arrives on site pre-fitted and centred. Injection moulded end cap is colour co-ordinated with the rest of the roof. 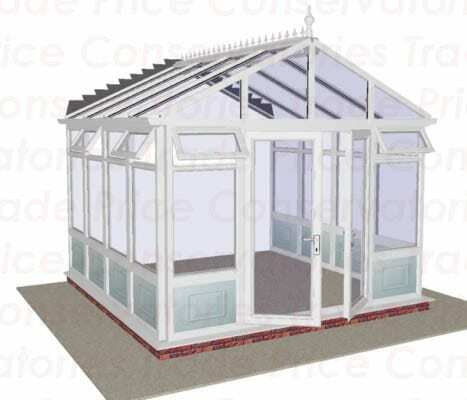 All elements of our conservatory roofs are designed to work in harmony with each other. 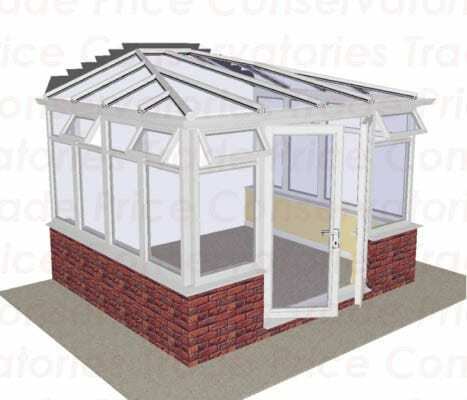 The roofs combine the strength of an aluminium core, with aesthetic appeal of PVCu top and bottom cappings. Substantial 13mm fixing bolts enable rafters to hook directly into position. 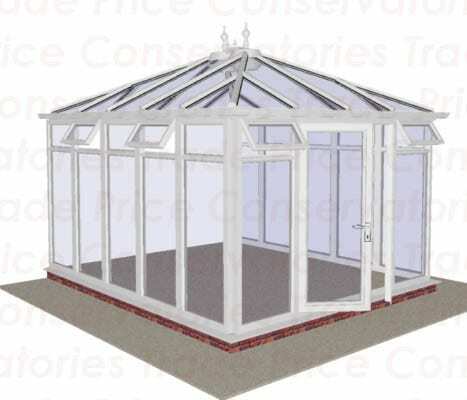 The double skin aluminium construction reduces the risk of condensation. 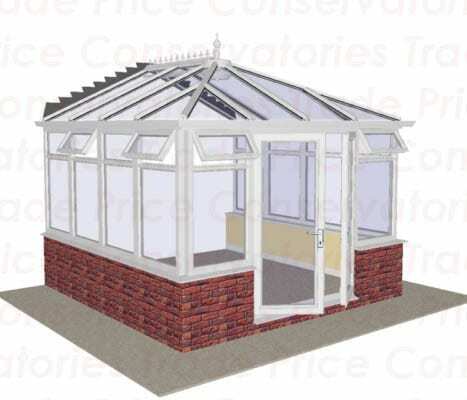 The purpose built gutter adaptor allows the box gutter to connect directly to the rest of the conservatory guttering. Woodgrain cappings have an aluminium base to prevent distortion in hot weather. 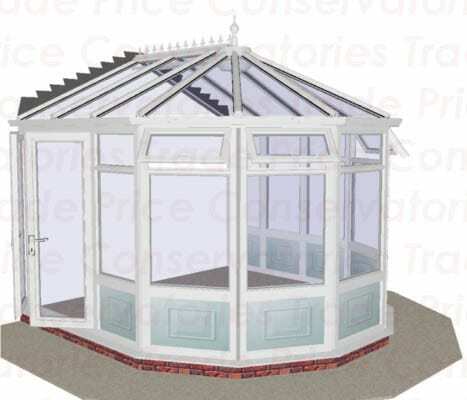 Wide starter bar guarantees a consistent sight line to the inside of the conservatory. 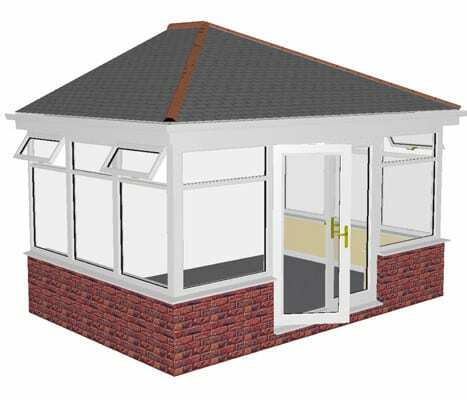 Our low pitch roof gives a 2.5 degree pitch angle, using 35mm polycarbonate. 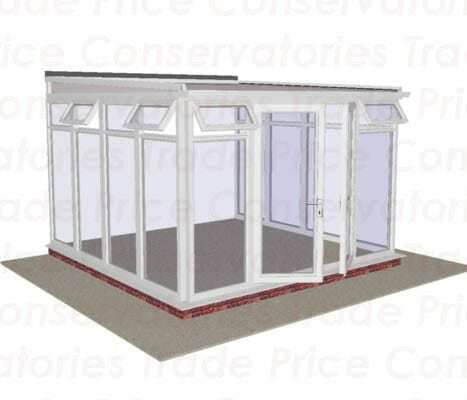 Wider rafter centres than most other roof systems are possible with our conservatory roofs. 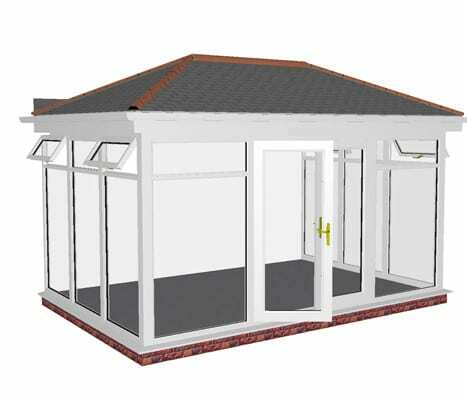 Glazing bars fit from the inside for easier installation. 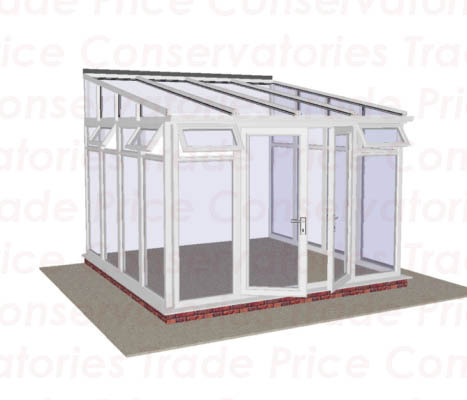 Specific low height eaves beam allows our conservatory to be fitted in positions not possible with other systems.